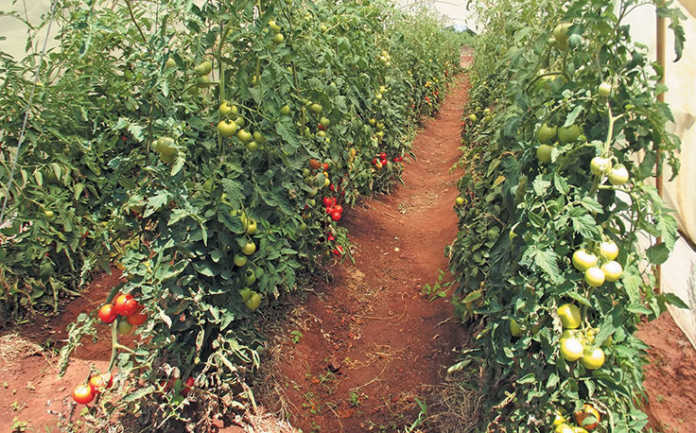 Producing tomatoes is expensive and can make or break a farmer. If you plan to grow this crop, first do your homework and investigate its economic viability. Indeterminate tomatoes like these keep on growing until restricted. Establishing a packing facility or refurbishing a shed to accommodate the necessary cleaning, grading and packing equipment can be very expensive. 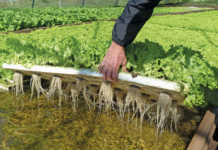 Other major costs include the poles and wire or twine needed to support the plants, as well as the price of seed, irrigation infrastructure, fertiliser and crop chemicals. In other words, you have to reach deep into your pocket before there is even a hint of profit. Then there’s the choice of tomato variety that best suits your purposes. There are two main kinds of tomatoes according to growth type: determinate and indeterminate. These varieties continue growing until restricted. Although they generally produce a higher yield, they are more expensive to cultivate than determinate varieties are. The stakes or poles must be higher and will need more string or wire. You need more labour to train up the plants and for pruning. The crop must be irrigated for longer. Harvesting also continues for a longer period, but this might suit some. These varieties grow up to a point. Then, instead of sending out a new shoot from the axil (the upper angle between a leaf and a stem), the plant produces a flowering truss and stops all new leaf growth. Within each of these categories are further differences. For example, some indeterminate types are more vigorous than others, which might benefit some farmers, but be a problem for others. Some determinate varieties are shorter than others and may be better suited to a specific farmer’s requirements. 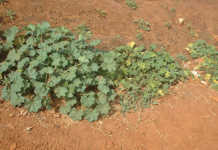 Some farmers produce tomatoes without staking. These would normally be determinate varieties, compact growers usually produced for processing and direct marketing to hawkers. The limitations of this method will be discussed in a later article. On the other hand, it suits some farmers to grow a determinate variety with a concentrated fruit set, enabling them to harvest most of the crop over a short period. This may be either because labour is only available during that time, or to supply the market when the price is high. To summarise: before choosing a variety, determine exactly what type and size the market you intend to supply wants. 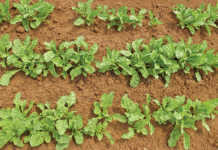 Determine what disease resistance the season and area requires. A specific disease might be a problem in one area, but not in another. Apart from the expense involved, tomatoes need a lot of attention if you want to compete with the larger established producers.